This week we chatted with Lesley Logan, a graduate of The Pilates Center, Boulder, CO’s Master’s Program. After taking her first Pilates class in Orange County, Lesley was hooked and altered her life to take Pilates every day. Lesley travels the world teaching Pilates’ workshops and retreats – her most recent in Cambodia! She’s a busy lady, but, as we’ve been lucky enough to discover, always has time to chat about her passion for TPC. Hi Lesley, how are you today? Where are you and what are you up to right now? Hi Amanda, I am hanging out in one of my favorite cafes in Siem Reap, Cambodia near my retreat home. I am feeling amazing! The retreat has just begun and we are about to head off to see some temples. Where did you train and when did you graduate? 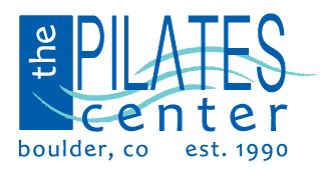 I graduated from The Pilates Center, Boulder Master’s program in 2014 and I did all my hours at TPC in Boulder. I absolutely loved finding excuses to fly to Boulder and study with all of my favorite teachers there! Do you teach at a studio? If so, which one? I teach at my studio in Los Angeles. It’s my favorite little haven in LA outside of my house. It’s hard to find as I don’t have a sign outside and I didn’t get fancy with the name, but if you wander the Little Tehran area and find yourself at a very famous Persian bakery, walk through a courtyard and then up some stairs and I’m in a quiet office space with amazing indirect light. It’s simply called Lesley Logan Pilates, haha! I met Amy Alpers at a PMA conference in Long Beach when I was a “baby” teacher. It was my first PMA and I LOVED her! I found out about another workshop she was doing near me and then heard about TPC’s continuing education. I wanted more understanding of the method and knew I needed to learn how to teach what I already knew, more. Amy, Rachel, Debora, Kelli, Kaile – they all taught me so much about how to “see” what I was seeing and teach the body in front of me, they had a massive impact on me. Honestly, I wanted to make some extra money to pay for my obsession with Pilates. But, then I got too busy teaching Pilates and I had to quit my “real” job with a salary and benefits during a recession to make the leap and only teach Pilates. I really loved learning from Amy and I wanted to learn more. And so when I followed my love for her to Boulder and discovered the whole TPC team I knew it was the next step in my teaching. No, I kind of didn’t know what to look for but just knew that what I had found at TPC was what I needed. I know that sounds like a non-answer, but it’s kind of similar to how I teach, I listen to my gut a lot. I don’t always have a logical answer for things. I have seen graduates from all kinds of programs and what I really love about TPC is how much TPC graduates know right out of the gate. A lot of what we need as Pilates teachers comes from time. But, TPC grads seem to have sped up some of that learning timeline. They have a lot more analytical thinking and are not afraid to try things out. I loved the people I met along the way! OMG! The friends I made during my time there I still see and talk to. They live all around the world. It’s truly amazing. I also loved seeing how each teacher there was absolutely themselves and teaching Pilates from their own inspiration within the method. It was just cool! Sooo many things, but one that I refer back to often is: don’t cue away a problem without knowing what’s causing it! Be ready to learn, a lot! And, because of that be ready to rise up because you will be lead to teach amazing things, by amazing people and that comes with a lot of amazing responsibility. I know… I use amazing a lot. What’s your fave piece of equipment and why? Wunda chair because you can have it at home as a chair if you want. But, I have to say I have a lot more love for the spine corrector. What is your fave memory of training at TPC and why? Time with Brian Cearuill. He and I still talk now that he lives in Spain. Also, I thoroughly enjoyed taking multiple classes in a day! I do miss that! What is the most surprising place TPC training has taken you? I am not sure how to answer that…. I am constantly surprised where life takes me.